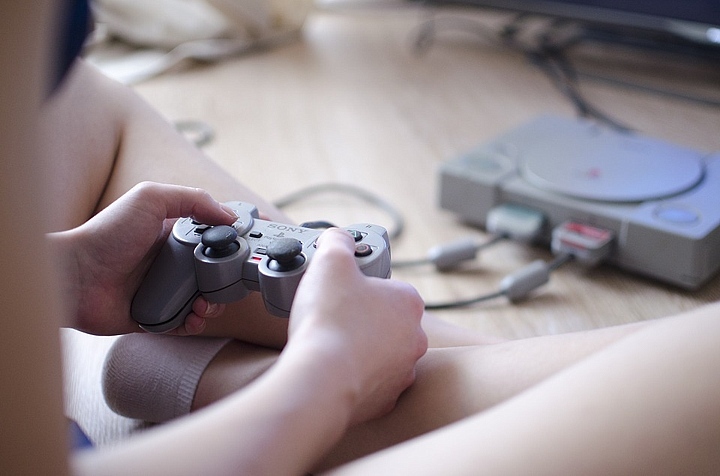 Girls Don't Play Video Games…Or Do They? Of course there are girls who don’t play video games but same can be said for boys. Some people have no interest in them no matter what gender they are. The truth is, you can say that just about anything. Sports, gardening, hand crafts, cars, etc. Video games is nothing different. It’s just the marketing that has thrown society off to believe that video gaming is a male dominated industry. The Essential Facts About the Computer and Video Game Industry report done in 2015 by Entertainment Software Association (ESA) quite clearly shows that women do play games, in fact the numbers are pretty high. People will argue that women only play mobile games like Angry Birds or Candy Crush and thus are not real gamers because those games are not really games. To be honest, I don’t really see the point of this argument. It’s like saying you’re not an animal lover if you’re in the minority that likes spiders, just because dogs and cats or X are more common and popular animals. I’ve recently found a video on Youtube done by College Humor to explain why the society thinks video games are only for the male population. It’s well made and I think we can all learn from it. If you say girls play video games, where are they? They are at home playing video games. It’s sad that many girls and women simply don’t share with the world that they love their Xboxes, Playstations, gaming PCs. Why? They subconsciously fear that they will be called liars, ‘fake gamer girls’ pretending to play video games to get a male attention or just brushed off for not playing ‘real games’. This kind of makes me angry. People shouldn’t be shamed for liking video games, no matter what gender you are. If women get online to play multiplayer games, they usually are quiet in the game chat and don’t say they’re female. Some males can be really nasty and immature when they find out. But there are fake gamer girls! I’m not denying there aren’t. I just think that the rare minority of these girls shouldn’t reflect on the genuine female gamers, who play video games for their enjoyment and have no need to impress a guy. To those girls who pretend to like video games (or sports, or whatever) just to get a guy to notice them – don’t do that. The truth will be eventually unconvered. A guy should love you for being you, so please don’t pretend. If he doesn’t love you for who you are with all your quirks and different hobbies than his, he’s not worth it. Dana, are you a gamer? Battlefield 4 and 1, Wolfenstein, Doom, Unreal Tournament 2004 (gotta love the sniper rifle! ), Assassin’s Creed franchise, Witcher franchise, Thief, Amnesia, Playerunknown’s Battlegrounds, Garry’s mod, Skyrim, Rust, Counter Strike: Source, Tomb Raider (both old and new), Tron: Evolution, Minecraft (I’ve spent days and days on that game) and in the past I’ve also played some EA Sports games such as FIFA and NHL, but that was usually with my sister who has since moved away. This is not the complete list by far. I’d be here a long time if I tried to remember all the games I’ve ever played. In conclusion, I’d like to say one thing. Don’t let others bring you down for enjoying them. I’d love to hear your opinion on this topic, so please leave a comment below!